OLD PARKED CARS. 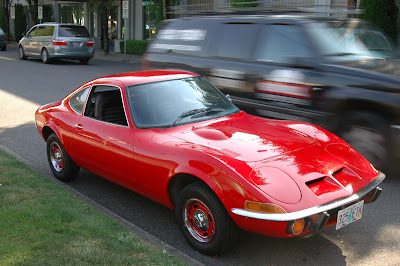 : 1970 Opel GT. 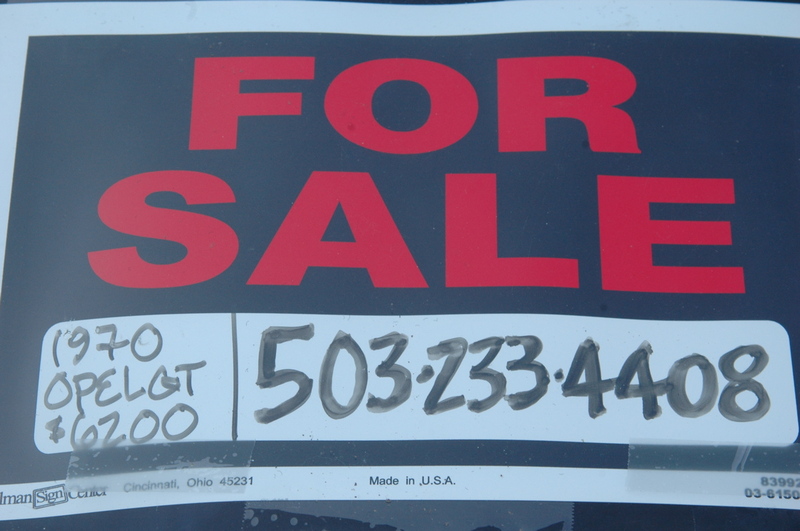 I spotted this car in a driveway on my street and thought, "Of course it's for sale. I wonder how long it's been parked there." I really think that OPCs for sale don't count, but the next day, it was parked downtown a block from the office. Which makes it count a lot more, sort of. oooooh, what a beauty and it's FOR SALE. I could see 6200 for that if it had no rust on the underbody and under a 100,000 miles. I'm starting to think old cars run in packs, In the second pic you can see that old blue Toyota hilux again in the background. that truck gets around and that's just fantastic. 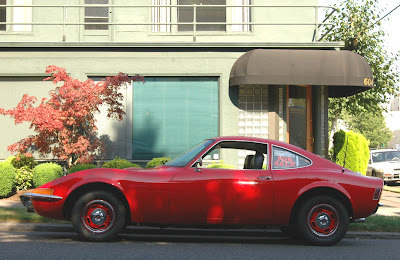 this blog has made me see a place where old cars roam free and are used as daily drivers and are not seen as disposable. this has become my new dream state. thank you Tony and Ben for this blog and the inspiration to move to Oregon one day. Isn't that blue Toyota Tony's or Ben's? Anyway, WOW this is clean! Totally perfect and with great rims too! Love these. 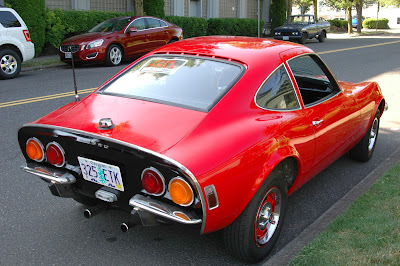 They are very cool, and it would always be fun to have a car that nobody has heard of. (Opel? huh? That blue Toyota is Tony's. Great color, with color matching rims and a black rear clip that makes it look even greater. It seems like the Pacific Northwest is like an automotive safehouse for these survivors (at least those made prior to the era of galvanized steel). 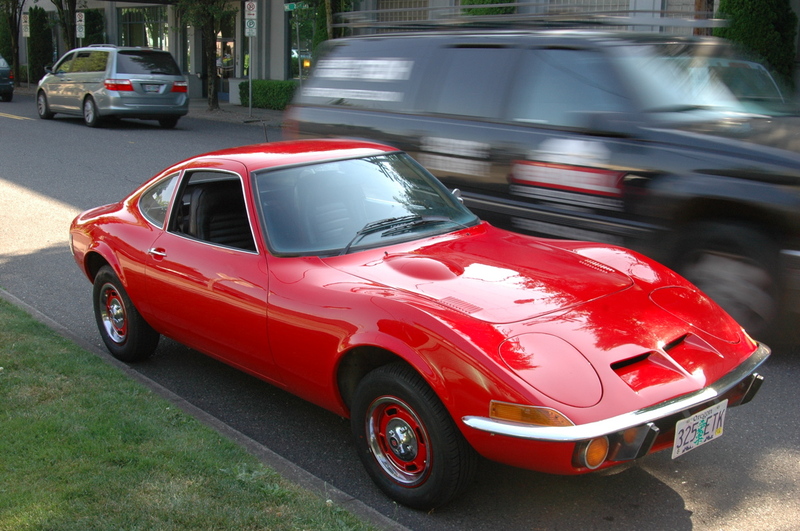 Here in New England, the only time you'll see a parked Opel GT is at a car show. And even then, it's fairly uncommon. Hey! This was literally my car!! How cool. I bought it for $3000, did a little cleanup and sold it within 4 months for $6700 (raised the price one weekend and it sold. 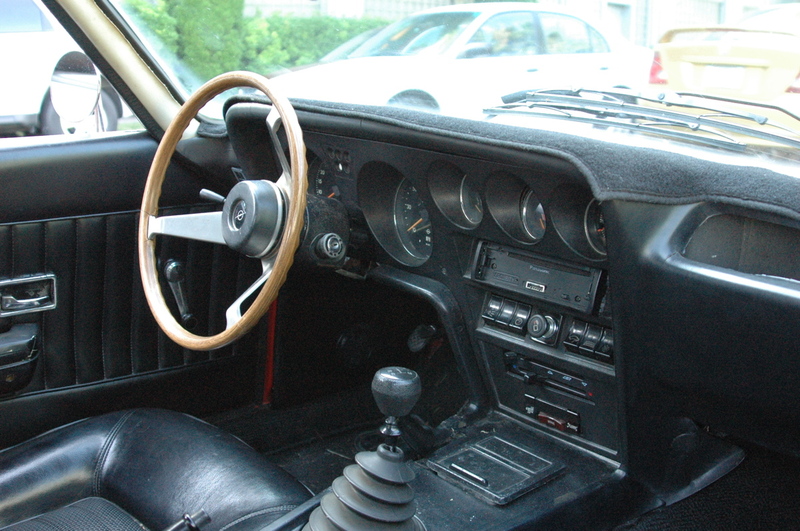 It was an amazing car that I really regret selling it. All I did was get rid of some cheesy dish-slot mag wheels, put on factory wheels and painted them red, Plus some cleanup, detailing and a tune-up.